In a saturated business world, you need a quirky way to get noticed. There are so many business cards floating around in networking land, you need to make sure yours stands out from the crowd. To do so, your business cards need to be exceptional quality and be uniquely yours. 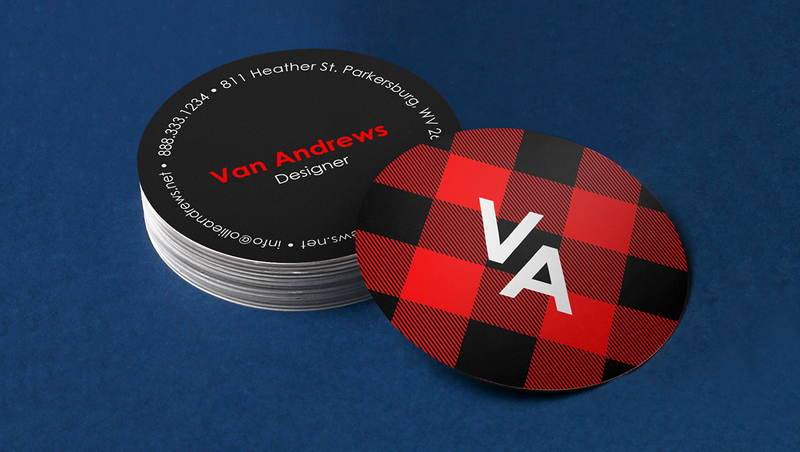 With die-cut business cards, you can use unique shapes to put personality with your brand. In fact, a lot of designers are opting to use die-cuts to incorporate their business personality with the cards they hand out. If you want to use die-cut business cards, then designing it effectively is a huge priority. You need to use the right die-cut shape that fits well with your brand. Aside from that, you have to create a design that makes solid use of the non-traditional shape. To get you started on your card, here are quick die-cut business card design tips you need to keep in mind. Hello. Happy Friday. I’m Kadie from PrintPlace.com. Today we’re going to talk about designing for die-cut business cards. For an example today, I’ve chosen the rounded corner die cut. A tip to keep in mind is to keep it simple and clean. First of all, choose one font for your text and keep it between the sizes of 8 to 14 point. Secondly, have a max of three colors for your overall design. Too many colors will clash and become distracting. Most importantly, keep your corners clean. Keep photos and artwork away from the corners where they will be cut off. The safest thing to do is to center all your information. 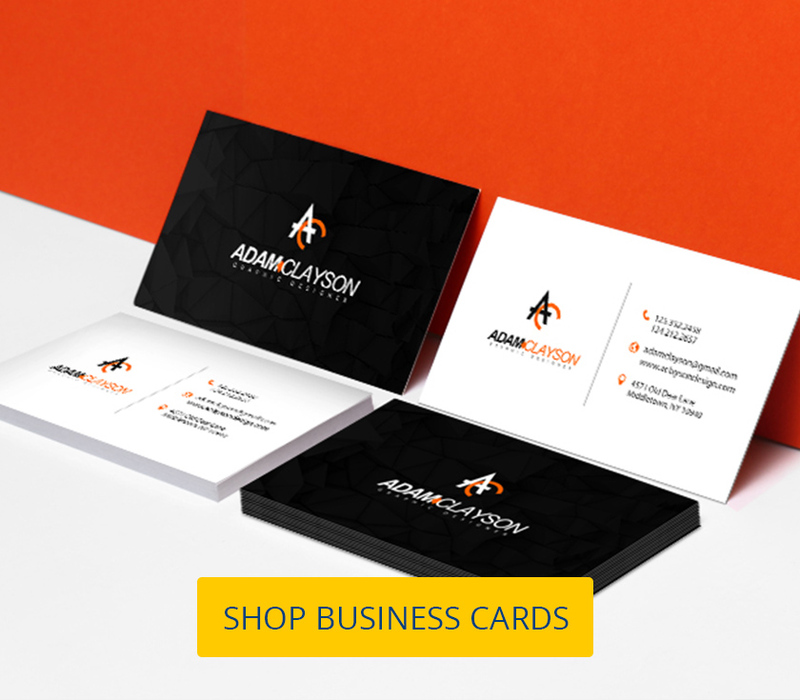 With these simple tips you’ll have a great looking business card to promote yourself and your business. Have you enjoyed our tips and tricks this week? Subscribe here for more. We’ll see you next week, and have a good weekend. 1. Die-cuts can go from the most simple rounded corners to complex custom shapes. The shape should support your design and vice-versa. Start by doing multiple sketches to plan your die-cut. 2. 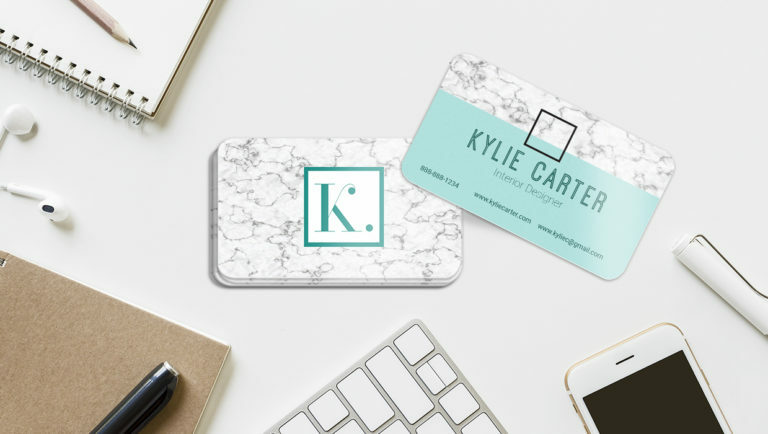 It may have a different shape, but your die-cut business card should still follow the basics requirements, such as your name, position, and your contact information. 3. Choose at most two fonts—one for the header, usually your name, and one for the rest of your business information. 4. Serif fonts feel more traditional while sans-serif fonts tend to look more modern. Pick which font style fits best to your brand. 5. Do not use script fonts unless it is suitable for your brand image. These types of fonts are usually less readable, especially in small font sizes. 6. Keep the font sizes between 8 to 14 pt. Too small and it might be too difficult to read. Too big and it might take too much space from your other business card elements. 7. 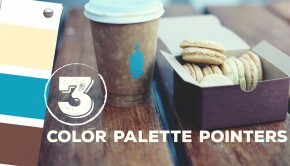 Have a max of three colors for your overall design. Too many colors will clash and become distracting. 8. Keep your corners clean and the artwork away from the corners where they will be cut off. The safest thing to do is to put your information at the center. 9. The shape of your die-cut business card is a design element. 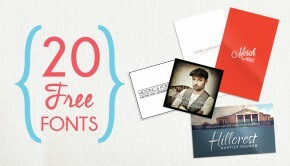 You can use them to emphasize your design. 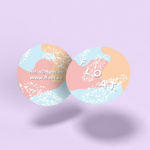 For instance, a circle business card is a perfect match for circular logos. 10. Your business card has two sides. Make the most of the space by adding a creative tagline or design at the back of your cards. 11. Be consistent with your design. Your die-cut business cards should be consistent with your existing marketing materials, which should, in turn, match your brand values. 12. Consider the orientation of your business card design. Landscape is the traditional format, but portrait is becoming trendier. 13. Experiment with your die-cut shape. For example, a square business card can be a diamond business card if you tilt the design. 14. 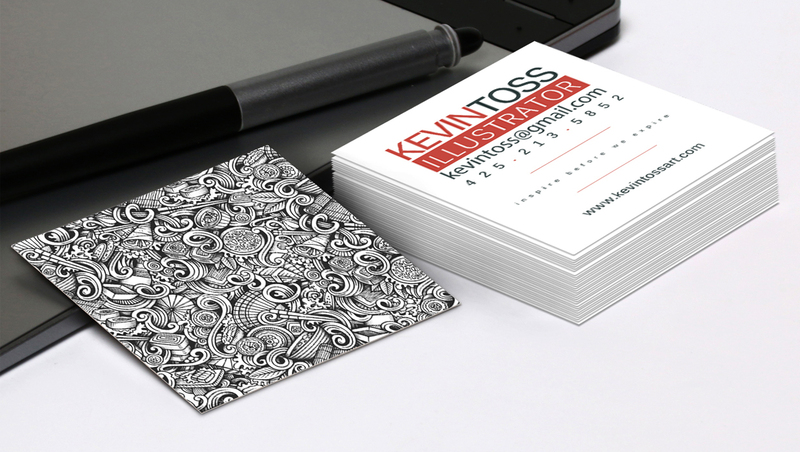 A good die-cut business card design works well with a thicker cardstock. Remember, business cards are as much tactile as they are visual. A thicker cardstock gives a more luxurious feel. 15. 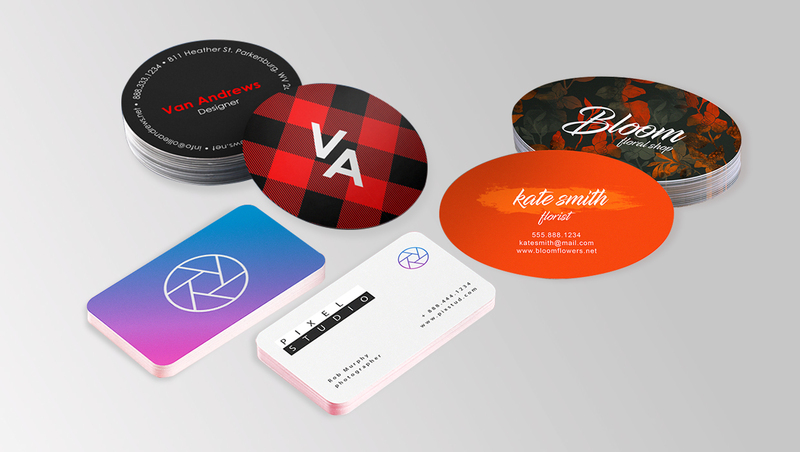 Make your die-cut business cards stand out further with special finishes. Metallic accents, spot UV, and gloss/matte coatings can enhance your design. 16. Double-check the information in your card before sending it to your printing service provider. Especially for high quantity orders, one single mistake can easily turn into a thousand unusable cards. 17. Check your color mode. 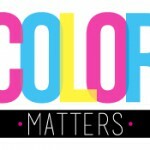 As a general rule, always use CMYK to have a more accurate color reproduction. 18. Your file resolution should be at least 300 dpi. This would ensure that your card looks crisp and clean in the finished project. 19. 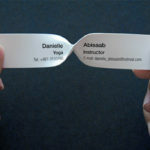 Use folded business cards to add intrigue to your business card. You can use a front fold to hide a surprise underneath—such as coupons, QR codes, or even more quirky graphics you can think of. 20. Don’t underestimate the power of minimalist design. 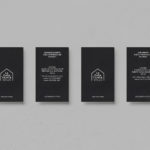 Overstuffing your business card with unnecessary design can do more harm than good. Let your die-cut shape do the work. 21. Stay on trend with flat graphic elements. Flat design makes your card look fresh and modern. For contact information icons, I suggest downloading from Flat Icon or The Noun Project. 22. Design and print custom die-cut business cards instead of conforming to common ones. Especially if you have a uniquely shaped logo, a custom die-cut shape is a sure fire way to get you noticed. 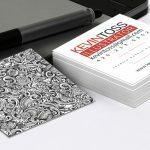 Ready to print your die-cut business card design? Head to our die-cut business card printing page to get yours now.